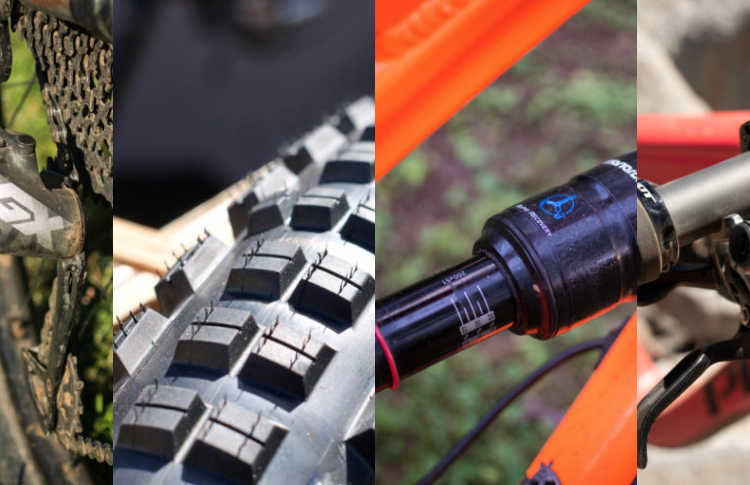 A look at how two mountain bike brands, big and small, create their image and portray it to consumers. 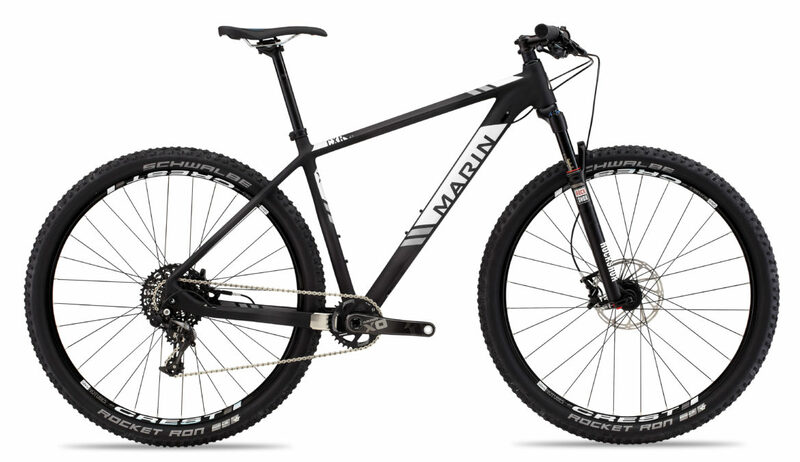 Left image: Marin Bikes. Right image: Matt Miller. The world would feel a lot different without branding. Storefronts would appear monotone and muted, like buildings on a military base. The inside of clothing stores would have shelves of shirts, drab and plain like sheets of paper. 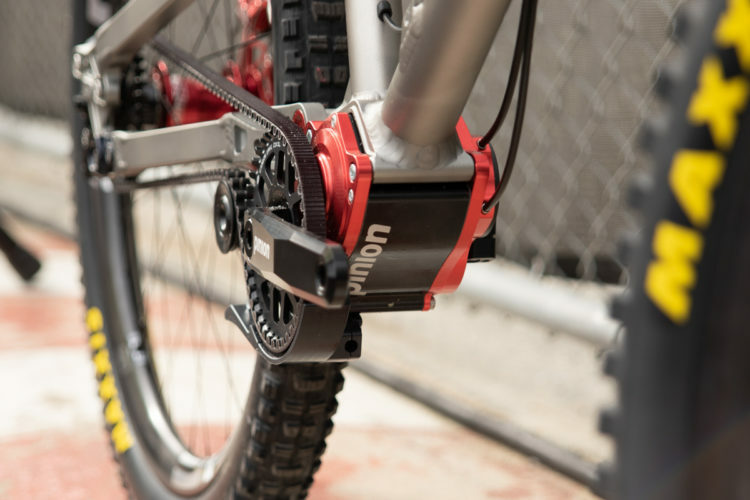 And let’s not begin to think about what the inside of a bike shop would look like without a recognizable color or image on the packaging of a tire, or set of grips. 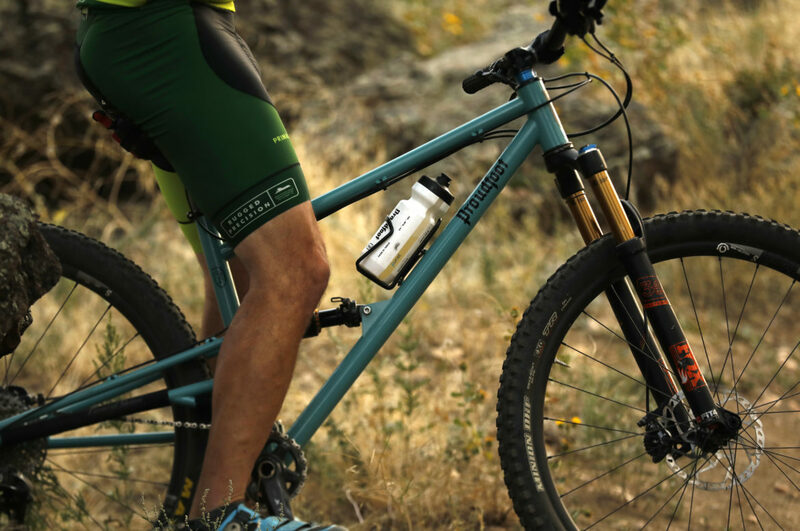 Shoppers would base their decisions off the shape of the frame and ride quality alone without advertising influence or asking if the mountain bike brand matches up with their own identity. Ok, in some cases, that might be a good thing. 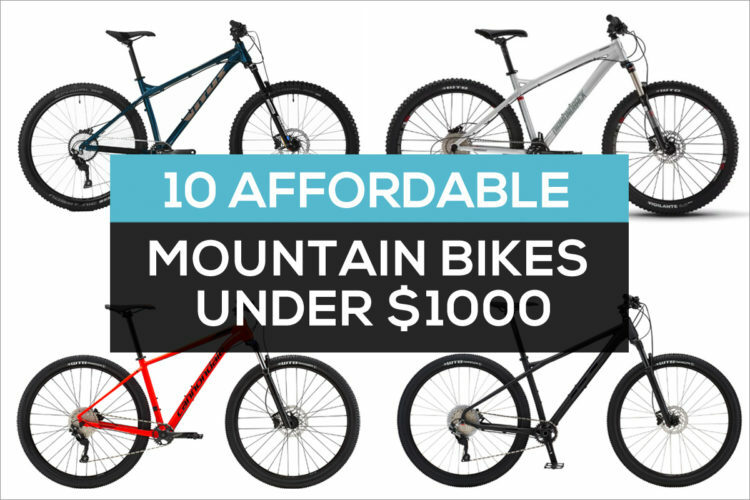 But, for most of the mountain bike industry — and possibly mountain bike culture itself — things would fall apart. Branding plays a huge role in how companies compete with each other and create markets for themselves. When Jon Acuff of Proudfoot Cycles started building bikes, the build quality was the most important thing for him, but he quickly realized he needed to portray that to consumers in one way or another. “As an engineer, I didn’t even think of this stuff. My perspective is that, if you make it really good, it’ll just sell,” says Acuff. Acuff and his wife co-founded Proudfoot and sourced a third-party marketing firm to help them create their brand. A few things came into play. Acuff’s grandfather’s middle name was Proudfoot. The family has a Scottish heritage and a deep history in engineering. His lineage traces directly to the Wright brothers and his family now specializes in manufacturing pressure switches for airplanes. 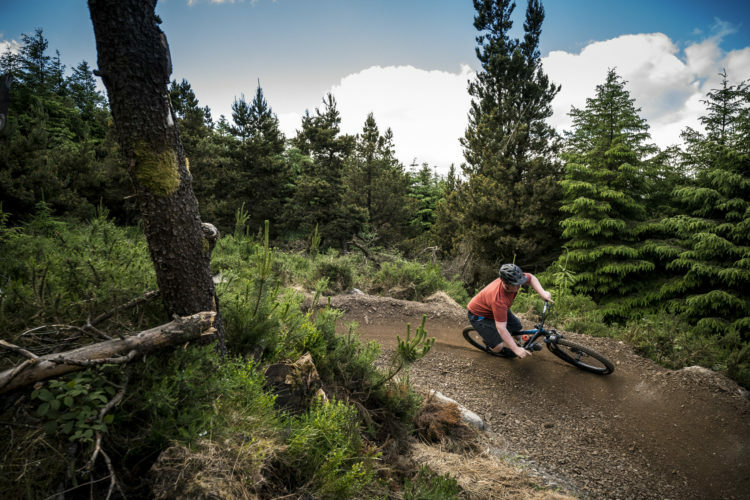 The slogan is meant to imply that the bikes are made with a high quality that will last, whereas many other hand-built bike brands tend to hang their hats on the side of artistic creativity. 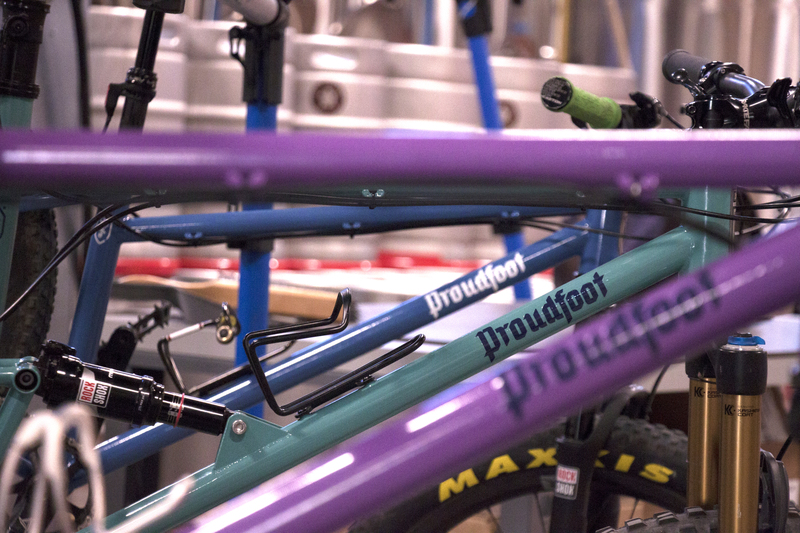 Sean O’Brien led the design and branding for Proudfoot Cycles. 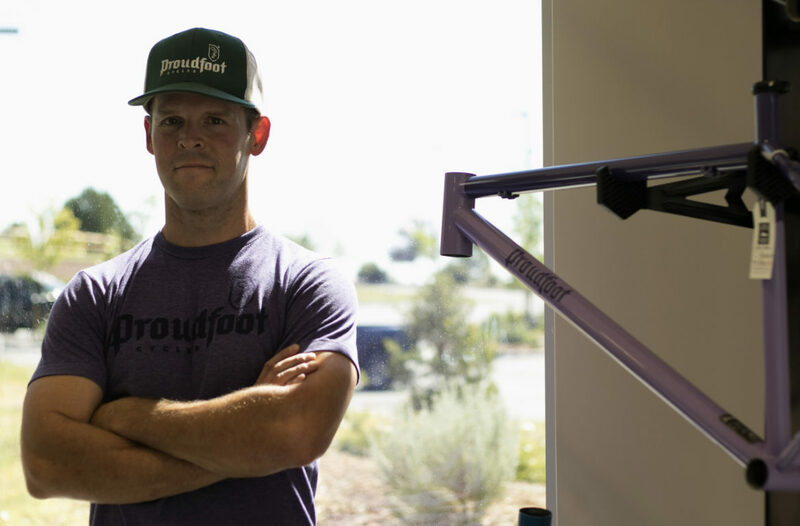 He had Acuff write a stream of consciousness about why he wanted to build bikes, what he thought he’d bring to the industry, and what he wanted the brand to be about. “Before you even put pen to paper, you’re trying to figure out who you are, what you mean, and how you want to position yourself out in the world. That’s where all the family history, and personal history, and all the details about Jon as a builder come in,” says O’ Brien. O’Brien recognized that Acuff’s engineering history and Scottish heritage would make up the major elements of their branding. O’Brien worked the branding from a logo, to a slogan, into their photography, and even down to the paint schemes of the bikes themselves. 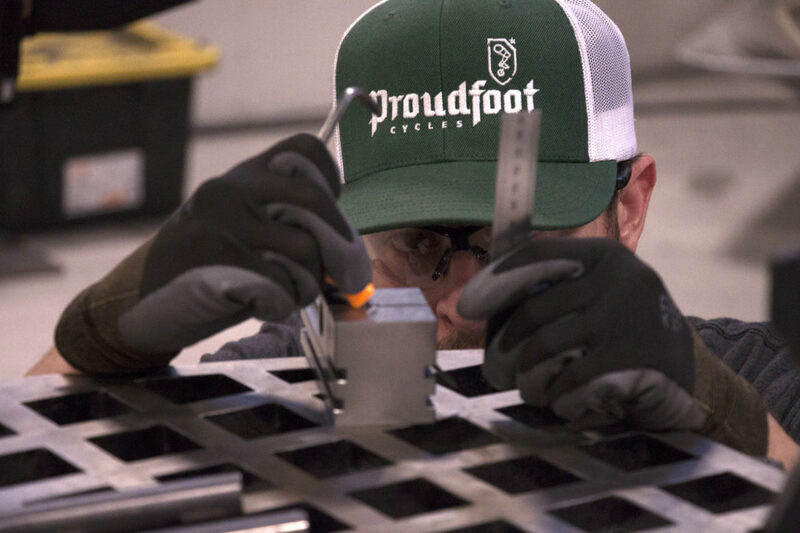 Proudfoot is happy to do custom paint jobs, but their mainstay colors are inspired by Colorado landscapes. Their purple frame color is actually called Penstemon, and based off the wildflower that grows in Colorado. Proudfoot’s branding trickles down to their paint schemes. Photo by Matt Miller. O’Brien handled most of the Proudfoot branding on his own, but says that if a major brand like Trek or Giant sought help, the work would be divided amongst a team over certain specialties. However, these companies often handle their branding internally. 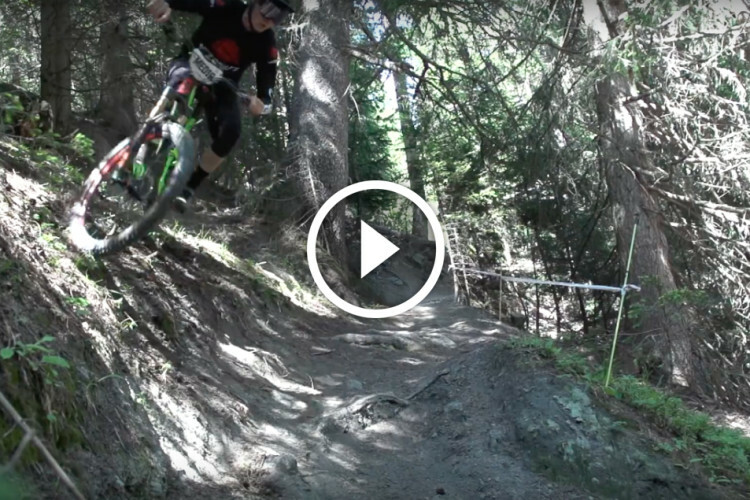 Singletracks requested an interview with Specialized to talk about their branding as one of the top bike companies in the world. The red S is iconic and as recognizable as the blue Ford oval, and the brand is sometimes painted by the public as sue-happy in comment threads across the internet. After initially agreeing, Specialized did not respond to multiple phone calls and emails from Singletracks for the interview. 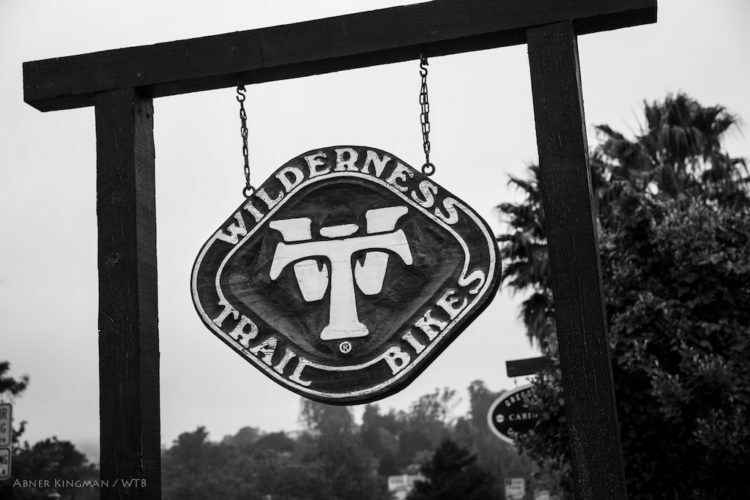 Just north of Specialized in Marin County, California, Marin Bikes went through a re-branding a few years ago. In 2013, when founder Bob Buckley retired, the company found its image had grown somewhat stagnant. With a new direction and a new creative team on board, the logos, branding, and marketing got an upgrade. An example of Marin’s older styling. 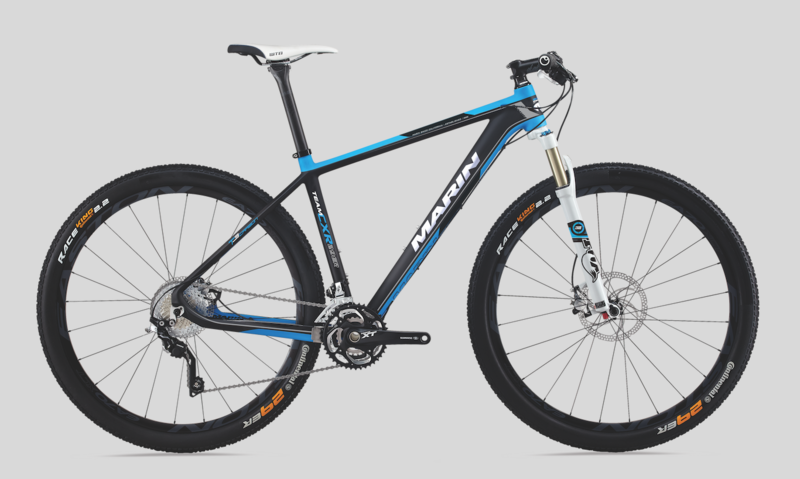 Photo: Marin Bikes. An updated version of the Marin Team CXR, with new font and branding. Photo: Marin Bikes. 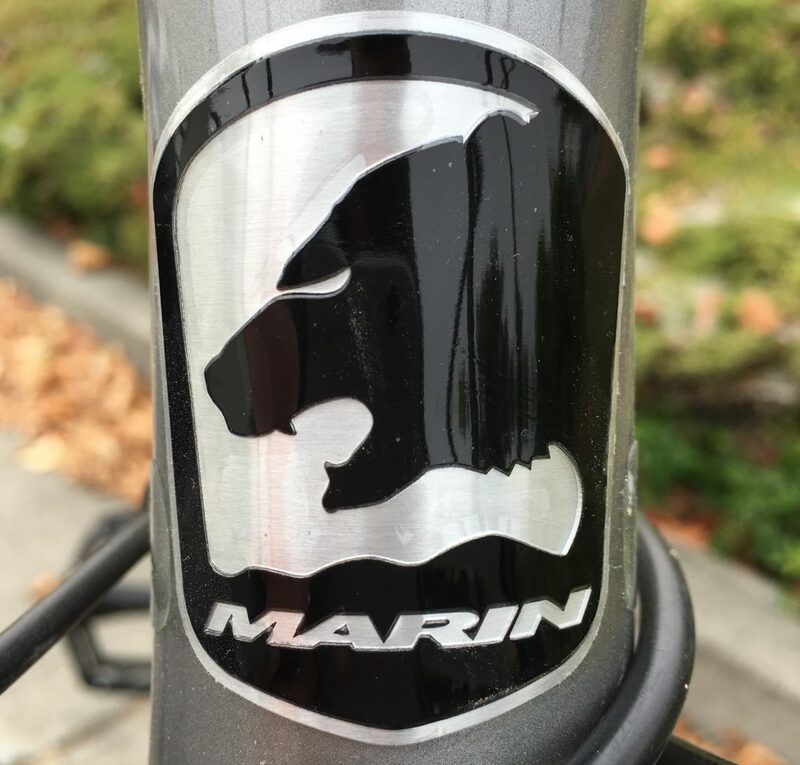 Marin’s previous logo on the head badge. 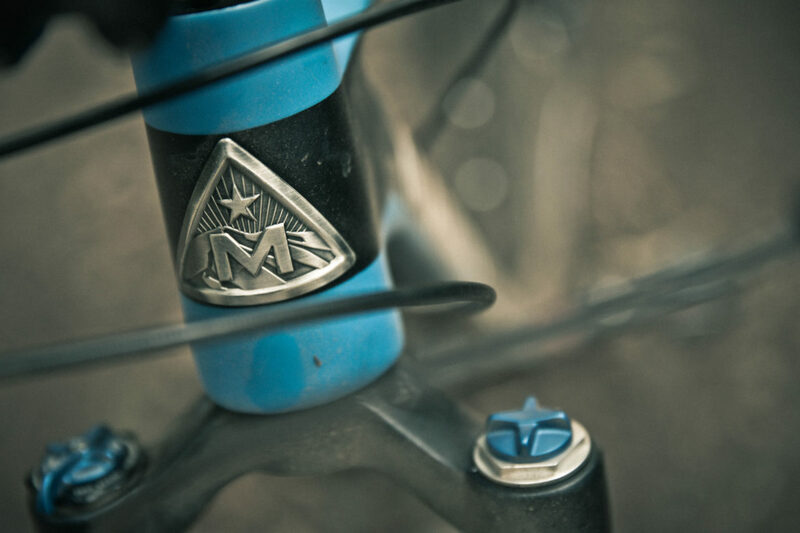 Photo: Marin Bikes. 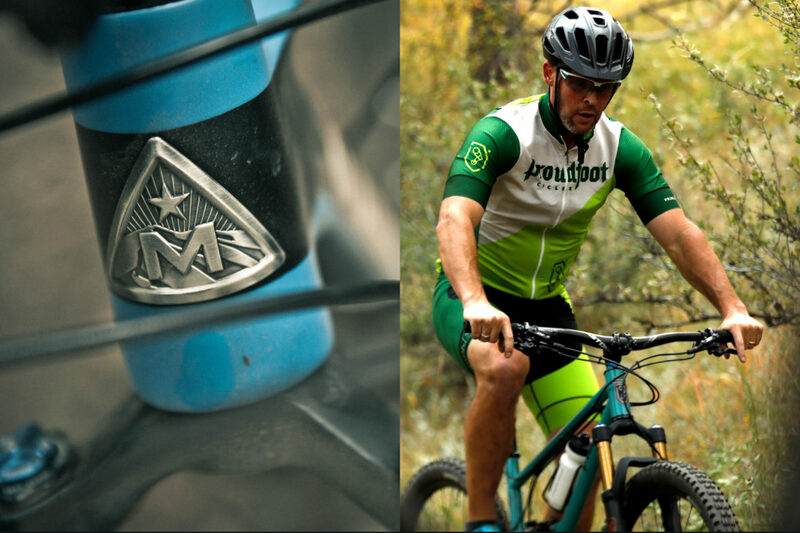 The new and modernized badge on the head tube. 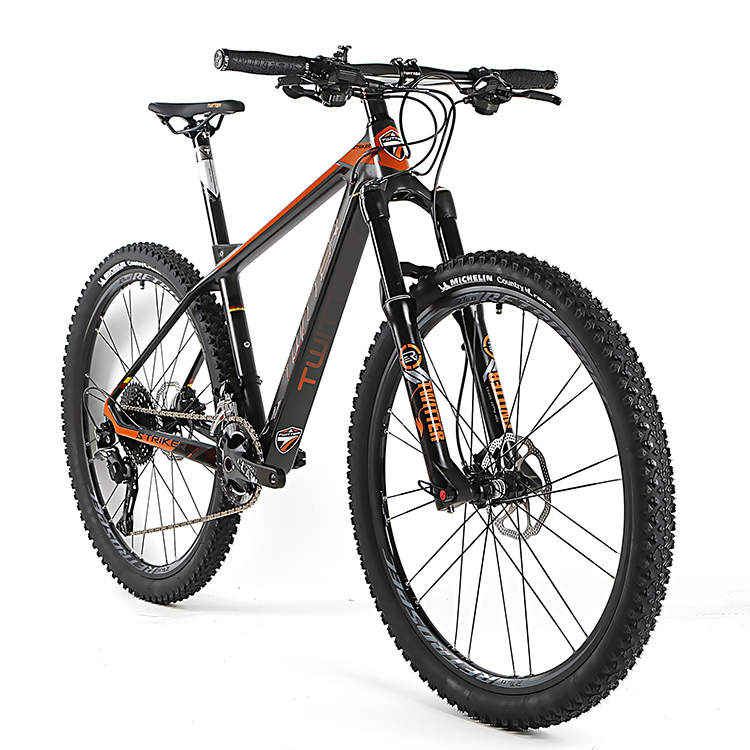 Photo: Marin Bikes. On top of refreshing their logos and branding, Marin cancelled their carbon road bike line, and took a stance on the type of people they wanted at Marin, both athletes and staff. “No assholes,” says Holmes. Their vision for the brand is to reflect its location, the laid-back California vibes, and to be an approachable and friendly company. Even the enduro and freeride athletes, along with the company’s ambassadors, are carefully selected to align with this philosophy. In the end, the athletes, just like the company’s marketing all play a role into which bike a consumer might purchase. Even sellers on www.alibaba.com know the value of branding. The decals on the fork closely mimic Fox decals. 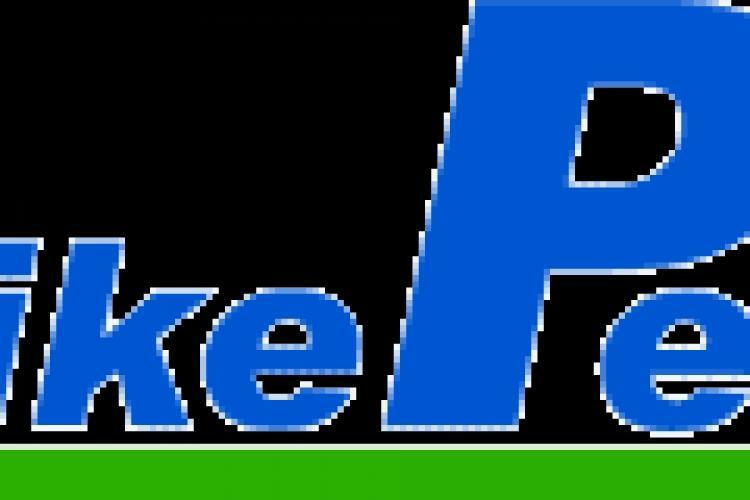 Photo: alibaba.com. “When it comes down to it, these are emotional purchases. 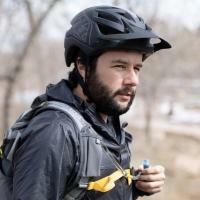 Sure, you can rationalize it, [and say], I’m going to do this because I’m going to ride to work, and save money on gas, or get in shape,” says Holmes.